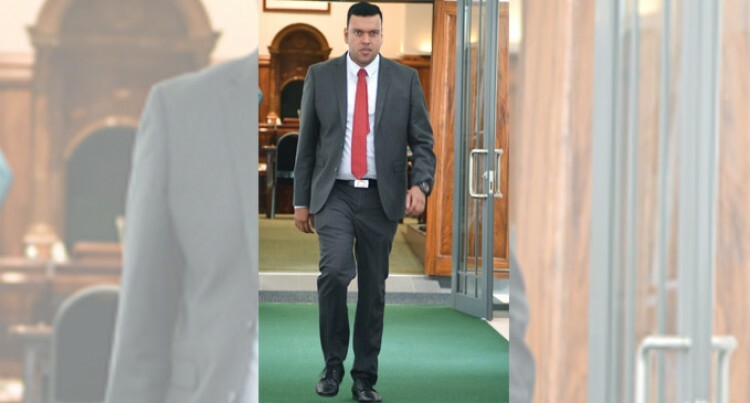 Government Member of Parliament Ashneel Sudhakar dressed to the nines yesterday. He was pictured (right), with his perfect-fit suit, wearing with what appears to be derby-styled shoes, adding a touch of athletic with his sports watch. And to finish it off, not only did he deliver bold contributions in Parliament, he also delivered the same with his red spotted tie. It would be interesting to see what he wears today.